Connected to TransGrid’s transmission network, the 550 hectare solar park has a power purchase agreement of 12 years with EnergyAustralia. 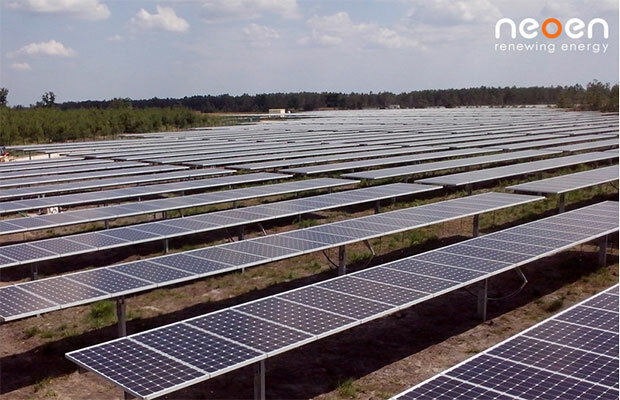 Neoen, a French renewable energy firm, has completed and started commercial operations at its 189MW Coleambally Solar Farm in New South Wales, Australia. Connected to TransGrid’s transmission network, the 550 hectare solar park has a power purchase agreement of 12 years with EnergyAustralia. Under the PPA, the utility will buy 70% of the output, rest will be sold directly in the open market. Having 5,67,800 solar modules, the system will generate 390GWh of solar electricity every year, enough to power more than 65,000 households in New South Wales. Preparations of the site started in January 2018 and by September 2018 the construction and grid connection was complete. The EPC service was performed by Bouygues Construction Australia and the project was supported by German Landesbank NORD/LB, German development bank and the Clean Energy Finance Corporation (CEFC) among others. Neoen’s Hornsdale wind farm which was paired with Tesla’s 100MW/129MWh battery installation made headlines around the world in 2017.